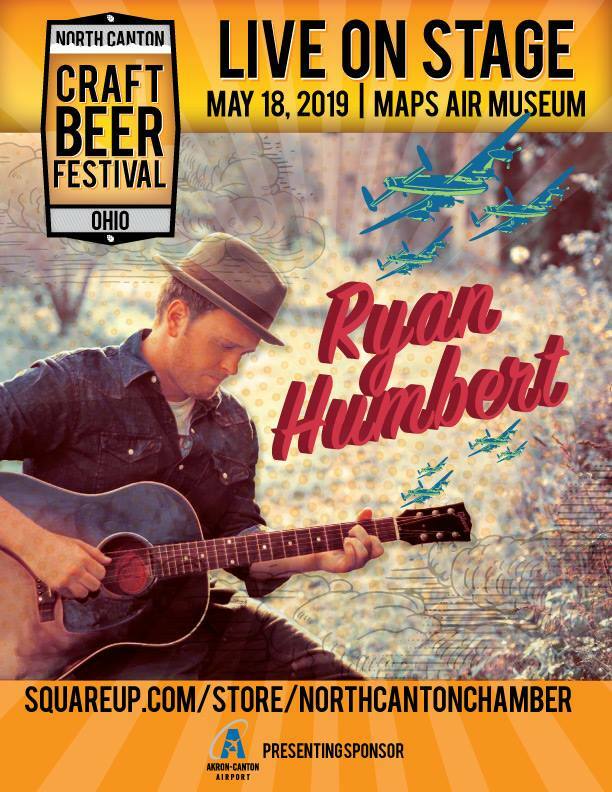 The North Canton Chamber of Commerce is excited to announce the inaugural North Canton Craft Beer Festival, a one-of-a-kind experience for North Canton and our neighbors. This event is generously sponsored by the Akron-Canton Airport (CAK). 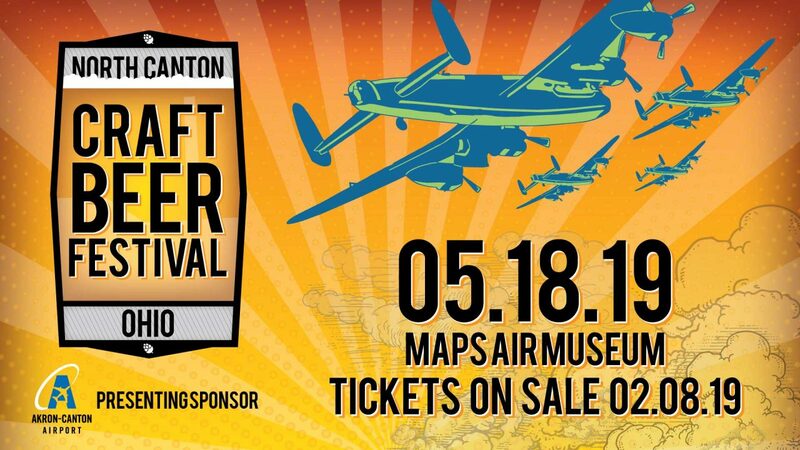 Admission includes access to see the MAPS Air Museum’s aircraft and artifacts on display! This event is for 21 and over, no exceptions! Saturday, May 18, 2019 from 5 to 8 p.m.
We will sell a maximum of 500 tickets and anticipate that they will sell out. HOW MANY BREWERIES WILL BE REPRESENTED AT THE EVENT? Local breweries include Canton Brewing Company, Lockport Brewery, Maize Valley Winery & Craft Brewery, Muskellunge Brewing Company, Paradigm Shift Brewing, Royal Docks Brewing Co., Sandy Springs Brewing Company and Shale Brewing Company. Plus, each local brewery will invite a surprise “guest” brewer. In total, there will be sixteen brewers and attendees will have the chance to sample twenty-five brews. WHO CAN BUY A TICKET TO THE EVENT? Anyone 21 years of age or older. Food may be purchased from the food trucks on-site. There are sponsorship opportunities available. See below for contact information. WHAT IS THE NORTH CANTON CHAMBER OF COMMERCE? The North Canton Area Chamber of Commerce plays an integral role in our city with its dedication to the promotion, development, retention and expansion of local business and a strong commitment to devoting significant time and resources to community programs and projects. Our goal is to create an attractive city to live, work and play.